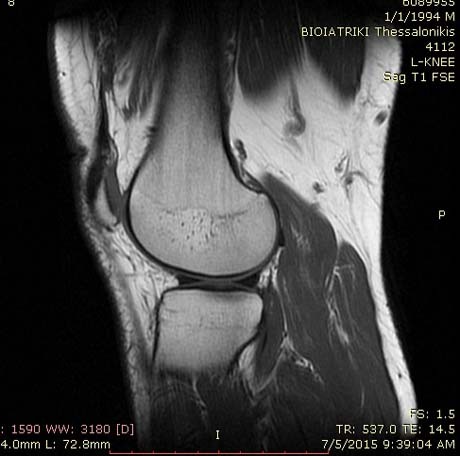 KNEE | GEORGE D. GOUDELIS MD. Ph.D. 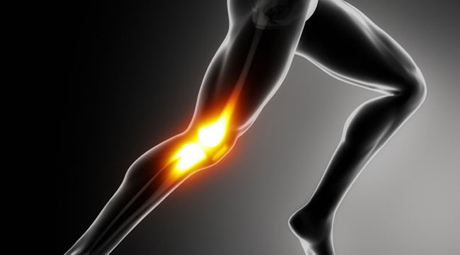 The knee joint is the biggest and most vulnerable joint of the human body. Is a synovial joint that consist of hyaline cartilage articulation between the femur,the tibia and the patella. The fibrocartilage menisci are C-shaped structures between the femur and tibia. The knee joint is stabilized by a number of ligaments. 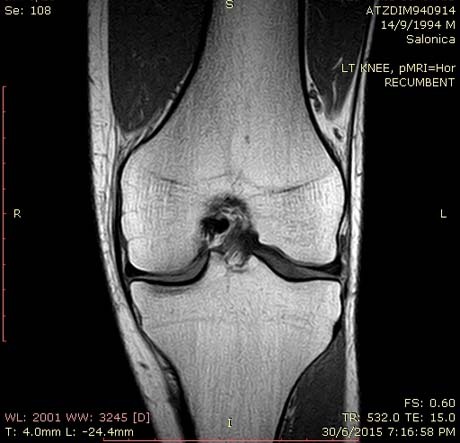 Medialy, the medial collateral ligament extends from the medial femoral condyle to the tibia in the coronal plane. The lateral or fibular collateral ligament originates from the lateral femur and extends over the popliteus tendon to insert on lateral aspect of the fibula with the biceps femoris tendon. Inside the joint the anterior cruciate ligament and posterior cruciate ligament stabilize the joint from excessive anterior and posterior translation of the tibia respectively.